Leinster hope to have Isa Nacewa fit to face Scarlets. ALL OF A SUDDEN, Leinster Rugby is brimming with fit players and more are on the way back. If the Blues had managed even the one win over Clermont in December you could say that they could not have timed the comebacks any better. As it happens, the double defeats to the French side have left Joe Schmidt’s on the verge of Heineken Cup elimination and only bonus point wins are likely to save them. Leinster’s backline for Friday’s 31-16 win over Edinburgh featured Brian O’Driscoll, Rob Kearney and Luke Fitzgerald and, thankfully for Leinster supporters, the club confirmed today that the trio ‘suffered no ill effects after their respective long-term injuries’. A Leinster Rugby statement added, “The management are hopeful that Isa Nacewa and Richardt Strauss will both return to the panel for the visit of the Llanelli based side. The Leinster squad are basing their preparations for this Saturday’s tie against Scarlets at Johnstown House in Enfield. Luke, in particular, has been out a long time. Rob had only played 31 minutes before for us this season and Brian… they were all quite tired, the pitch was heavier than it looked and it was an open game. Their lungs were probably screaming more than anything else during the game. Leinster have set up training camp out in Enfield at Johnstown House for today and tomorrow in a break from the regular routine. “Occasionally we head out there for a change of scenery and bring the group together,” said Easterby. Easterby’s brother, Simon, is coaching Scarlets this season and the Leinster manager is certain that they will bring 100% commitment to the game at the RDS despite being out of the pool qualification mix. Easterby joked, “Over Christmas he didn’t get me a present so I asked him to go easy on us. * Additional reporting by Sean Farrell. 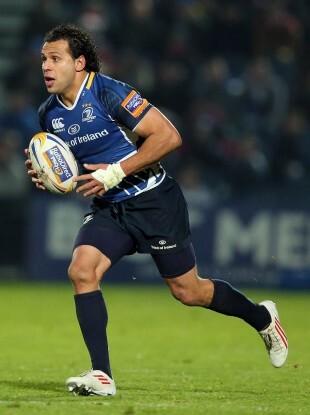 Email “Heineken Cup: Leinster hopeful on returns for Strauss and Nacewa”. Feedback on “Heineken Cup: Leinster hopeful on returns for Strauss and Nacewa”.